Save $1 on Kind trail mix bars. Save $1 on Welch's fruit rolls. Save $1 on Kind bars. Save $0.50 on any ONE (1) Hershey's Pudding 4 pack. 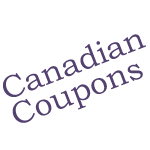 Save $1 on LeClerc GoPure bars or crackers. Save $1 on Pringles ketchup flavour. Save $1 on BelVita breakfast cookies.